Traditional ideas of heaven represent a repudiation of our humanity, including free will, and need for challenge, purpose and meaning. And its boring! 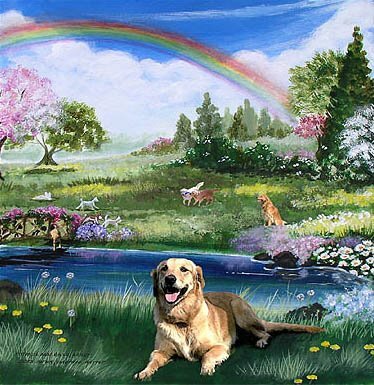 Golden Retrievers belong in Heaven. Humans don’t! Heaven is usually held to be the place where some people go, once they have died, to spend the rest of eternity in the infinite bliss of God’s company. Different beliefs have different criteria for those fortunate enough to earn a ticket to Heaven, with some holding that (almost) everyone gets in (perhaps after spending some time in purgatory, where they serve time for sins committed while alive), while others hold that only good people, believers in a particular deity, or even just a few of the “elect”, or “anointed” earn that reward. Like Hell, Heaven is not a concept held by all believers in god. However, it is universally held by the major Christian and Islamic traditions, which means that some two thirds of the world’s population is likely to believe in it. Many people who refuse to believe in Hell are happy to believe that there is a Heaven. For example, Seventh Day Adventists, don’t believe in Hell, believing instead in the annihilation of evil doers (although this does seem little better than murder), with the good earning a place in Heaven. For Christians, most of what people believe about heaven is therefore obtained from extra biblical sources. For the most part, these beliefs generally mirror those described in the Islamic texts (sadly, the minus virgins), and run along the lines of eternal, blissful enjoyment of life, spent in the company of God and with none of the problems and concerns of human existence. Heaven is a place where evil cannot exist and good reigns supreme. Everyone in heaven is their perfect self. There are no poor or destitute, no hunger, disease, or aging and no wars, torture, or abuse. Its like living in a land of eternal, multiple orgasms. While this sounds all well and good and at first glance it seems like Heaven would be the place that we would all aspire to ending up, there are quite a few problems with it, both as concept and as an ultimate destination for a sentient being. Strangely, enough the idea of heaven as a place of ultimate, eternal perfection (UEP) is actually quite unbiblical. Firstly, Jesus makes it quite clear in Mark 13:31 that heaven is not for eternity, when he says “Heaven and earth shall pass away: but my words shall not pass away”. Accordingly, we are left to ponder what happens after heaven, but Jesus chose not to enlighten us in this regard. Secondly, in Revelation 12:7-9, John of the Apocalypse categorically states that “there was war in heaven”. However, as is normally the case with respect to contradictions between what people want to believe and what the Bible actually says, both these passages are routinely ignored by the faithful, who continue to believe in the fairyland version, rather than the one described in the Bible. Believe it, or not, the first problem with Heaven is the very absence of evil. While it may not seem like an obvious issue, it helps to consider some of the ways in which theologians explain what, here on earth, is called the “Problem of Evil”. The problem of evil is that its very existence flies in the face of many of the claimed attributes of the monotheistic God. It simply shouldn’t exist! If God is perfectly good, then he would seek to oppose evil and remove it. If he was omniscient, knowing everything that it is logically possible to know, then he would be able to unerringly detect it and if he was omnipotent, able to do anything he chose then he could effortlessly remove it. But there is evil and as a result, and this evil seems to refute the claim that there exists an all knowing, all powerful, infinitely good God running the show. Responses to the problem of evil, come under the heading of “theodicy” are aimed at demonstrating that the existence of evil is perfectly in harmony with the existence of a perfectly good God. While I don’t have enough space to deal with each and every one here, some have significant implications for the viability of Heaven. Alvin Plantinga is the latest in a long line of philosophers to argue that the presence of evil in our world is not due to the acts, or intent of God, but rather the fault of humans. This position, known as the Free Will Defence holds that it is our exercise of free will that has bought evil into our world and which continues to keep it alive, even today. As a theory, it has Biblical backing in the story of the Garden of Eden and how Adam and Eve were thrown out after exercising their free will and sampling the fruit of the tree of the knowledge of good and evil. The problem with this defence is that it effectively compounds the existence of free will with the existence of evil. One is the result of the other. If one accepts this logic, then one is forced to also accept that a place in which there is no evil, is also a place in which there is no free will. In other words, anyone lucky enough to get into heaven will immediately have their free will removed and from then on in be condemned to act in a totally deterministic manner. Without free will, people in heaven might as well be highly functioning, self aware robots incapable of any act of self determination that contradicts their programing. Given that free will is held to be an inherent characteristic of being human by many faiths and philosophies, sacrificing such a fundamental aspect of being human seems a repudiation of one’s very humanity. Is such a price worth an eternity of never ending orgasms? The second issue with the UEP (AKA fairyland) idea of heaven is that it seems a dangerously hedonistic and pointlessly shallow existence. There appears to be nothing more to the heavenly existence than pure bliss and pleasure. Indeed, if one were to consider what earthly experience might compare to being in heaven, the closest likely candidate seems to be heroin, which users describe as producing a sensation of blissful euphoria (Personal disclosure: I’ve never tried heroin). Given this comparison, it is worthwhile to engage briefly in a bit of hypothetical speculation. Let’s imagine that there was a drug that produced the same effects as heroin, but had none of the associated health dangers, or potential for addictiveness. In other words, lets imagine a world in which heroin was perfectly safe to use, safer even than Transcendent Compounds. Furthermore, lets also assume that our technology has advanced to the point where all our survival needs were fully met through automated robots, so that no human ever needed to work in order to survive. Furthermore, our society has evolved to the point where each individual was recognised as their own master, and fully able to decide how to live their lives, so long as they weren’t hurting anybody else. Each of us could choose to spend our lives in whatever way we happened to see fit. In this situation, would we regard we would regard a life spent on heroin as being a worthy one? Would, or should we aspire to live on heroin, safely enjoying the euphoria and bliss that accompanies its use? I would suggest not, as I think would most people, not because the pursuit of pleasure is a bad thing (although some traditions would attest to this misanthropic idiocy), but because in pursuing hedonism we miss out on what makes us truly human and the things that make us truly alive. As philosophers since the time of Socrates have pointed out, there is more to a good, worthwhile life than the pursuit of blissful euphoria. Indeed, a life of hedonism is often as a symptom of a poorly developed personality. Psychologically, it seems that most of us need a whole range of other things in order to be happy. Friendships, helping others, the search for knowledge, risking one’s fate, and overcoming difficult challenges are what provides most of us with meaning. With the exception of friendships, it is hard to see how the UEP version of heaven is going to provide any of these needs. How can we help others, when there will be nobody in need? How can we search for knowledge and the answers to the big questions of science, meaning and the nature of god, when these will be handed to us on a platter? How can we climb mountains when they are all reduced to hills? Most importantly, how can we strive to face the monumental challenges that the very presence of evil in our world creates for us, if there is no hardship, tragedy, or even the hint of evil. 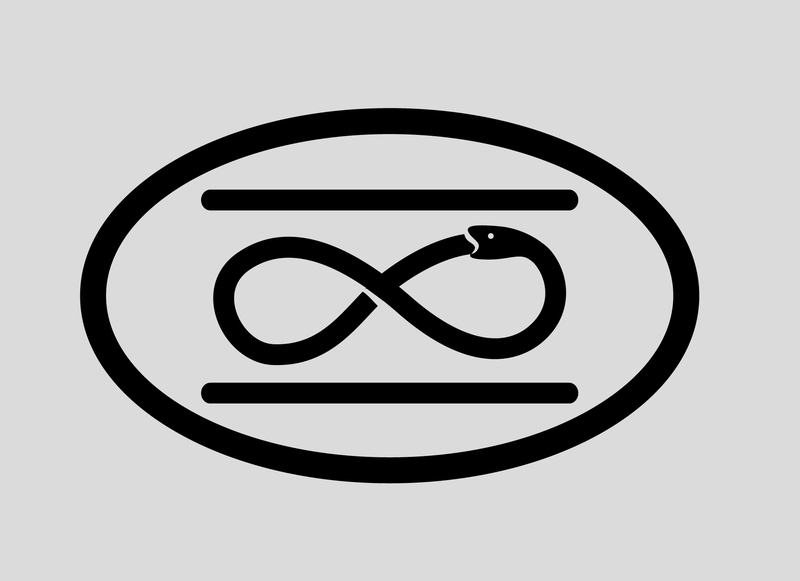 The Symbol of Life represents, Sentience, Meaning, Purpose and Wisdom as being fundamental to all life. The importance of these challenges to what it means to be human should not be underestimated. Have you ever noticed that nearly everyone, irrespective of their station in life, seems to be functioning at the edge of their capacity? People either push themselves, in order to expand the scope of their horizons, or they remain static, in which case their horizons and capacity to function inevitably shrink, as they slowly stagnate. Either way, our need for challenge, in order to feel truly alive asserts itself as we strive to make our way through our lives as functioning human beings. With challenge comes the risk of failure and in some cases the risk of death. Indeed, for many people, our very mortality and capacity for injury is crucial to their pursuit of meaning and a satisfying life. If one couldn’t die, or get injured, where would be the fun, or excitement in jumping a motorcycle over a long row of busses? If everyone could do it, where would be the satisfaction of swimming across the English Channel? And what of simple competition, where the success of one person ensures the failure of the others. For many athletes, the hard work and perseverance of training makes the victory all the sweeter, or the loss all the more heartbreaking. Who would bother to compete in the Olympics if nobody could lose? And of course, the very existence of something like heartbreak (and the associated music) is absent in heaven, as is every other negative human emotion. While it may not be fun at the time, many people regard the difficult parts of their lives as being the most rewarding; as the times in which they have grown as a person and developed in ways in which they would never have dreamed possible. I describe my own experience of exactly this sort of growth here. And what of courage, valour, determination, sacrifice, fearlessness, dreams, and the many other positive emotions and virtues, which we value because they are a response to adversity and are demonstrations of a the depth of a person’s character? Without adversity, these like so much of the human experience is consigned to the dustbin. But, by definition, these challenges are missing from the UEP heaven. Simply, there is nothing to aim for. Nothing to achieve and nothing to overcome. In reality, there is nothing to do, beyond imbibing the heroin, which is handed out freely at the door. But if it is wasteful to spend our threescore and ten years on heroin, why is it that our major religious traditions are actively encouraging us to aspire to spending an eternity on the stuff? As Marx might have said, the answer seems to be that they are peddling opium for the masses. They offer a Faustian bargain for the unaware: Behave as we tell you. Follow our rules, laws and dictates. Believe our dogmas without question. Give us your money, so that we might grow fat on the toil of your backs. In exchange, we will guarantee that you’ll get to spend eternity on heroin. But the currency for this exchange is high. Indeed, it is nothing short of the destruction of your ultimate self and the trivialisation of everything that you have fought so hard to achieve during your life. It is a mockery of the challenges that you have overcome and the very qualities that make you human. The only thing that you get to take into the next life is your personality; who you are is all you will ever be. But everything that you have worked so hard to achieve and all that is worthwhile in your spirit are irrelevant in heaven. The “you” that gets into heaven is little more than a vague sentience; a robotic shadow lacking purpose, nobility and humanity. Go to Heaven and you will be stripped of anything more than a desire to endure blissful euphoria for eternity. You will cease to be you. You will cease to be human. Not only this, but you’ll be bored senseless. Think of any story that you want, whether it is based on a true story, fictional, mythical, or religious. How many of these stories don’t contain a hint of challenge, conundrum, or problem for the main characters? None that I can think of. In other words, despite what we might say about the difficulties in our own lives, when it comes to the sorts of stories that we consume (and by extension, the computer games we play in a more modern context), we are invariably drawn to those which contain elements of drama and darkness against which the heroes strive. Without these elements, these stories not only be boring beyond belief, they wouldn’t even be stories. For example, imagine if at the very first page of the Harry Potter series of books, or the Star Wars movies, or your own favorite story all the characters had been miraculously saved Deus Ex Machina, and transported to a fairyland UEP heaven. Harry Potter’s adventures wouldn’t have spanned seven paragraphs, let alone seven books and we’d have been left with the shortest and most pointless movies in the history of cinema. If we can’t even go through our short three score and ten years without the stimulation and excitement provided by stories, how do you think we’d cope with an eternity of it? If evil didn’t exist, we’d have to invent it, just to avoid the mind numbing tedium of an eternity with nothing to do. By now, it should be clear that the concept of heaven, as imagined by the vast majority of the religious and faithful of both the Christian and Islamic traditions based on the repudiation of the very things that make us human. It inevitably strip us of our capacity for free will while destroying the very things that make us human. And its so very booooring! So, what might heaven actually look like? Obviously, it would need to be a place in which we had the capacity to exercise our free will. Secondly, it would need to be a place in which our very human need for challenge, purpose and meaning are met. We can surmise that heaven would need to contain opportunities for competition, victory and failure. It would be a place where we could explore the fullness of being human and strive to improve ourselves, make a difference and experience achievement. In other words, it would need to contain obstacles, tragedy and perhaps even evil.